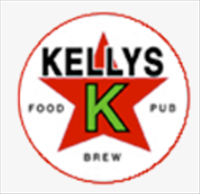 Discover why Kellys is one Albuquerque’s favorite hot spots. Whether your coming in for lunch, or after work for drink specials and room for large parties. Kellys location provides a great escape for University of New Mexico Students and easy access from almost any where in the City. Kellys has one of the largest outdoor patio’s in Albuquerque. Plenty of seating room to eat or hang out and drink some beers. Meet people, do some business and enjoy the outside air.